Thousands upon thousands of learners who fail Matric every year are either unable or unwilling to return to school to complete their National Senior Certificate examinations, forcing them to join the relentlessly growing pool of South Africans who have little prospect of landing even an entry-level position. Some of the reasons for not returning to school include a lack of funds, an unwillingness to go back to the benches with younger learners, the stigma some may feel as a result of failing, and a sense of futility over one’s ability to successfully complete Grade 12. “There is hope, and good news for young people facing these circumstances, as well as those who had long ago given up hope,” says Nomawabo May, Team Leader: Student Advisor Department at Oxbridge Academy. She says young people who either failed, or didn’t gain university exemption in the past three years, still qualify to do rewrites of papers this year – provided they move quickly to meet registration deadlines. “If you’ve been sitting at home since receiving bad news about your results last month, and don’t know where to from here, you should seriously consider heading back to the books sooner rather than later, as you are still in a great position to earn your Matric despite your earlier setback,” she says. 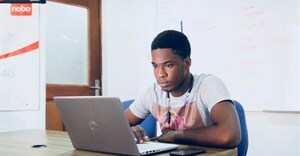 May says the benefit of doing Matric subject rewrites via distance learning, is that it is affordable, that it can be done via the comfort of one’s own home, that learning materials are user-friendly and easy to understand, and that there will be excellent tutor support available both telephonically and online if one is signed up with a respected institution. “If your attempt to finish school in 2016, 2017 or 2018 was unsuccessful, you are still well positioned to grasp the bull by the horns this year, and we’ll advise anyone falling into this category to consider their vision for their future and to turn their goals and dreams into reality,” she says. May says those who were unsuccessful in completing Matric during or before 2015 should also not despair, as there are a range of options available to them, including completing a bridging course or equivalent qualification, or attempting the Senior Certificate (as amended). “Unfortunately, people are not always aware of their options, which means that they may become despondent too early, and give up because they simply don’t know that there are routes to qualifying that will suit their pocket and their circumstances. May says one of the big inhibitors for these students, however, is the fear of failing again. “That is why you need to ensure you speak to a student counsellor at a respected institution, who will help you devise the best strategy for you and your studies. These advisors will be able to help you determine exactly what the best course or courses are for you, how you need to pace your studies, and also what additional support you may need.